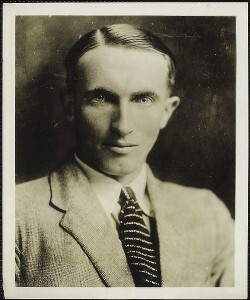 Francis O’Neill, The Police Chief Who Saved Irish Music is born near Bantry, Co.Cork. 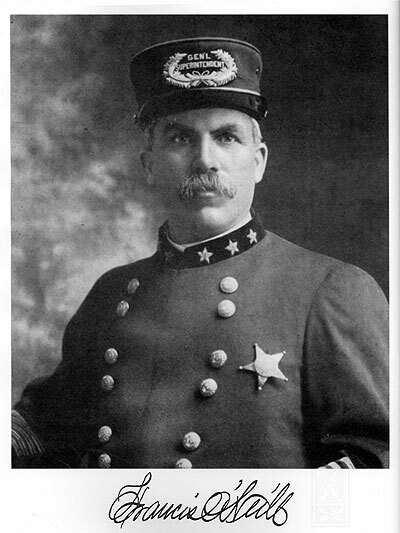 After emigrating to the United States, he joined the Chicago police force in 1873, eventually serving as Chief of Police from1901-1905. Chief O’Neill had a strong interest in Irish music from his childhood, an Irish music and tradition that was in real danger of being lost as the Irish diaspora melded into other societies. During his time in the police force, where apparently Irish musicians were made feel particularly welcome, and after he made strenuous efforts to recover and record details of the Irish music tradition. • Irish Folk Music: A Fascinating Hobby (1910). Appendix A contains O’Farrells Treatise and Instructions on the Irish Pipes, published 1797-1800; appendix B is Hints to Amateur Pipers by Patrick J. Touhy. • Irish Minstrels and Musicians (1913), biographies of musicians, including those from whom he collected tunes in Chicago. Birth of novelist Liam O’Flaherty on the tiny Aran island of Inishmore. O’Flaherty’s novels include Thy Neighbour’s Wife (1923), The Informer (1925 which John Ford made into a film in 1935), Skerrett (1932), Famine (1937), and Insurrection (1950). Short story collections from one of Ireland’s finest writers include The Short Stories of Liam O’Flaherty, Two Lovely Beasts and Other Stories, The Pedlar’s Revenge and Other Stories. Michael Collins is buried in Glasnevin Cemetary Dublin. The seven mile journey from Dublin’s pro-cathedral to the Big Fella’s final resting place was lined with (the New York Times reported) half a million mourners, many of whom, would have differed with him on his Treaty vote.